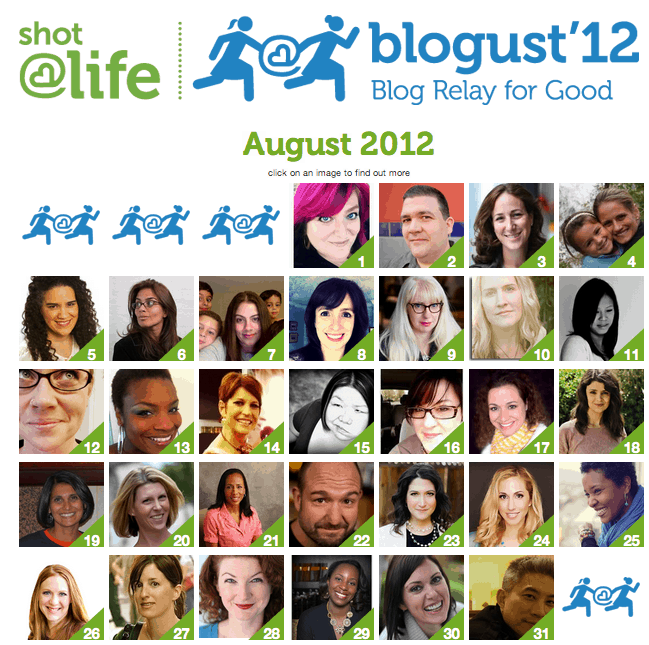 There is one week left to save kids’ lives through the blog relay everyone is talking about: Blogust: The Blog Relay for Good!! Every day this month, a blogger is writing about people from their communities who inspire them. Here’s the best part. For EVERY comment to the Blogust blog posts, $20 goes to vaccines for kids around the world. Up to $200,000! The Motherhood is really proud to be working with [email protected] and the UN Foundation on Blogust and I just had to spread the word. Please visit the #Blogust bloggers and comment! To reach $200,000, we need 10,000 comments by Friday (we have almost 8,000)!! Posts so far … go to any and all and comment! Thanks Vera for posting this and supporting [email protected]’s Blogust campaign. Its whole heartedly appreciated! How are you feeling? You looked beautiful in the photos from Turks! Wow this could be agreat solution to celebrate my 27 year Loved-one’s birthday. I would really like the gift card to buy something special. We are a fan on FB and Twitter likewise have been having your daily emails for years. I love your web site.